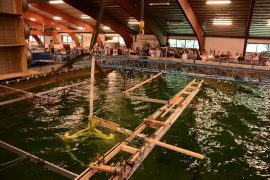 The Danish Government Scheme for Energy Technology Development and Demonstration Program (EUDP) has awarded DKK 16 million (more than EUR 2 million) to Rope Robotics. 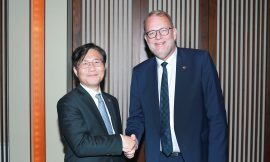 A delegation from the Korean National Assembly has paid a visit to the Danish Energy Agency (DEA) to study Denmark’s experience in the development of offshore wind. 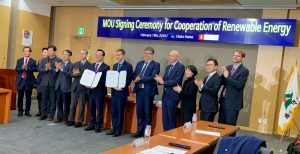 Denmark and South Korea have entered into a renewable energy cooperation agreement that particularly focuses on offshore wind. 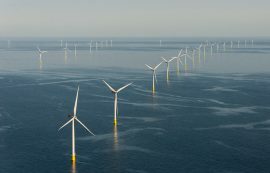 The Danish Energy Agency (DEA) has contracted COWI A/S to screen parts of the North and Baltic Seas to find new potential locations for offshore wind farms to be built. 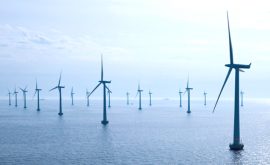 Copenhagen Infrastructure Partners (CIP), National Taiwan University (NTU) and DTU Wind Energy have partnered up to work on local offshore wind education in Taiwan. 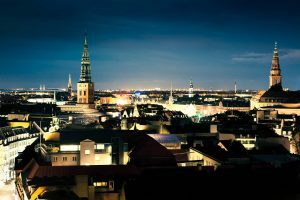 The European Commission has approved three schemes to support electricity production from wind and solar power in Denmark in 2018 and 2019. 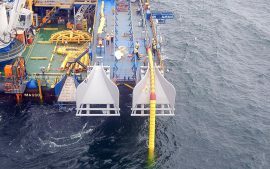 Both offshore cables of the Kriegers Flak Combined Grid Solution (CGS) are now in place, connecting the Danish and German transmission grids in combination with the infrastructure of offshore wind farm grid connection in the Baltic Sea. 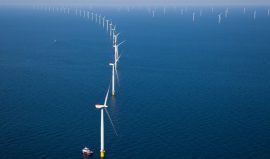 Danish parliament unanimously voted in favour of a new energy agreement for the country on Friday, 27 June, which includes building three new offshore wind farms by 2030 with a total capacity of at least 2.4GW. 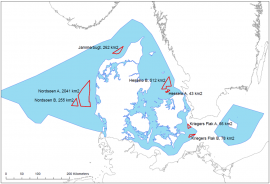 The Danish Parliament (Folketinget) has approved the expansion of the Østerild and Høvsøre wind turbine test centers. 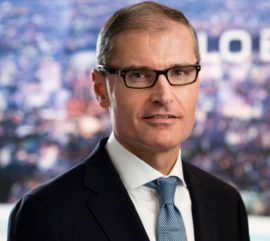 The California Energy Commission and the country of Denmark have signed a memorandum of understanding (MoU) on offshore wind. 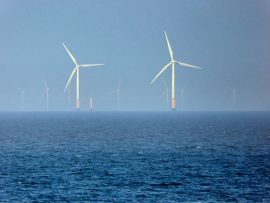 An 800MW offshore wind project is part of the Danish government’s coming energy proposal, the country’s Energy, Supply and Climate Minister Lars Christian Lilleholt was reported as saying. 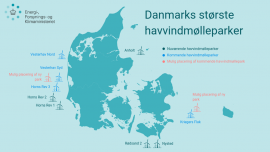 The Danish parliament will discuss the expansion of the Høvsøre and Østerild wind turbine test centers on 5 April, according to DTU Wind Energy. 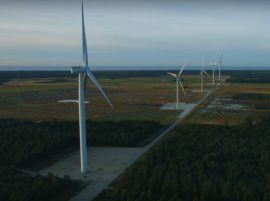 Denmark plans to set aside around DKK 210 million to fund testing of wind turbines outside the established test centers in Høvsøre and Østerild. 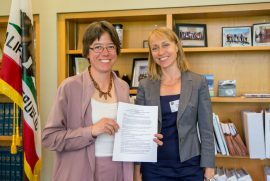 The Danish government has opened the first round of applications for the Energy Technology Development and Demonstration Program (EUDP) in support of the development of new green energy technology in 2018. 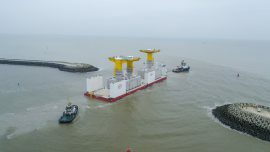 A barge loaded with two gravity-based foundations (GBFs) for the high voltage station of the 605MW Kriegers Flak offshore wind farm has arrived in Koge, Denmark, Blue Water Shipping (BWS), the port agents for the project, told Offshore WIND. 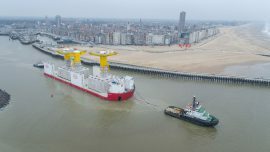 A barge carrying two gravity based foundations (GBFs) for the high voltage station of the Danish 605MW Kriegers Flak offshore wind farm has left the port of Ostend, Belgium. 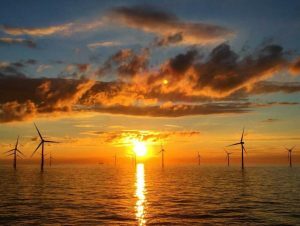 The first subsea section of the 325-kilometre-long Cobra cable interconnector between Denmark and the Netherlands has made landfall on the Danish island of Fanø, Energinet reports. 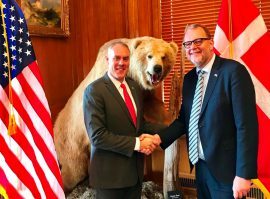 The US Secretary of the Interior Ryan Zinke and Danish Minister of Energy, Utilities and Climate Lars Christian Lilleholt met on Thursday, 26 October, in Washington DC to discuss formal cooperation between the two countries and give a boost to US offshore wind. 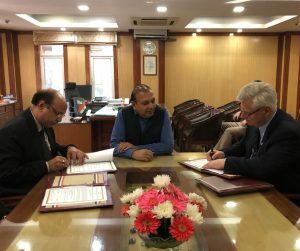 The TetraSpar floating wind foundation, brought forward by Henrik Stiesdal – a Danish inventor and former Chief Technology Officer at Siemens Wind Power – has won a DKK 9 million grant (approx. EUR 1.2 million).